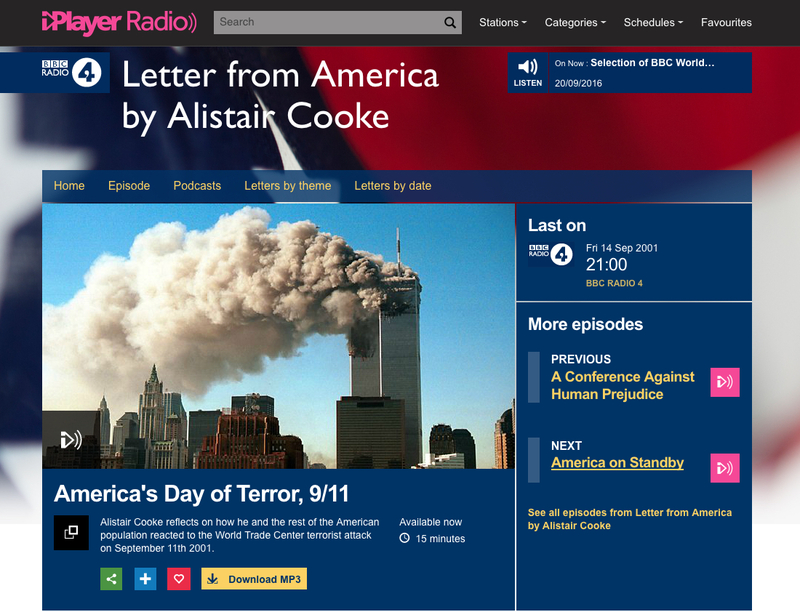 Ben Green led or managed the rights strategy, negotiations and agreements for many notable BBC Radio archive programmes being offered online, notably: ‘Desert Island Discs’ (1942-present), ‘In Our Time’ (700+ episodes), the BBC Shakespeare archive, and Alistair Cooke’s seminal series ‘Letter From America’. 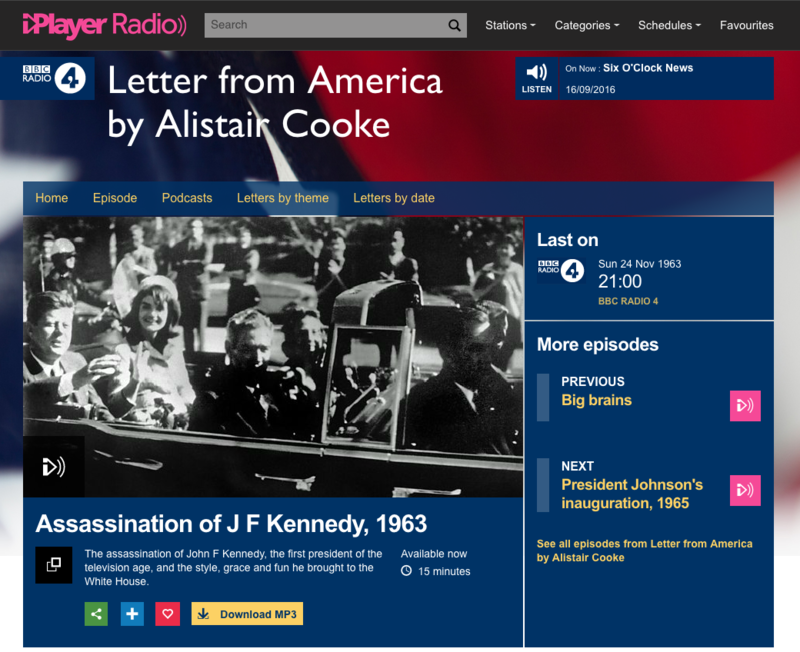 Following innovative negotiations to enable the online release of the Desert Island Discs Castaways Archive (with over 3000 now available), the BBC Radio Digital team turned their attention to one of the greatest broadcast journalists of all time: Alistair Cooke. His Letters covered every political, cultural and historical event in the US during that time: post-war life, Kennedy’s assassination, 9/11, to name just a few. It represented a true journal of record and a hugely important archive, which should (if the rights issues could be resolved) be heard by everyone. 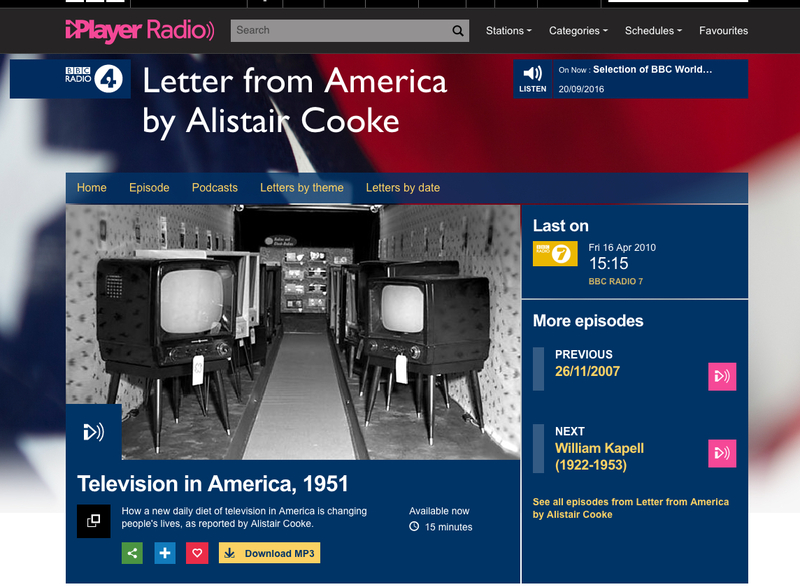 Andrew Caspari (BBC Head of Speech Radio and Classical Music Multiplatform) and Zillah Watson (Editor, Research & Development, and Producer of the Letters From America Archive) had already audited the archive to assess how many recordings were still in existence, their condition, and which ones were missing. 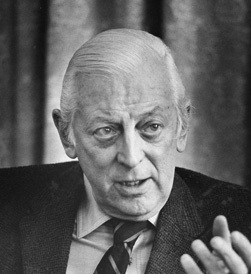 They had contacted Cooke’s Estate, and the Howard Gotlieb Archival Research Centre at Boston University, which held Cooke’s written archive and some recordings not already held by the BBC. Some of the Letters episodes had been made available commercially for the public to buy (for example, compilation CD’s of some key episodes), so the rights terms for those had to be assessed to check whether there would be any contractual restrictions. Thankfully there weren’t. 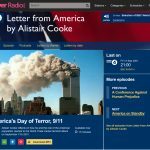 So the Cooke Estate, Boston University and the BBC decided to follow a more philanthropic path by offering the Letters online for free, personal use. 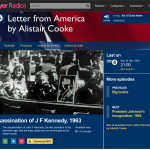 In addition, this pioneering project would offer direct links, alongside the relevant audio recording, to Cooke’s notated transcripts held at Boston (which had been digitised), to create a rich and fantastically useful research tool for students and academics of US and broadcasting history. 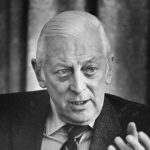 Whilst it was clear that the copyrights held by the Alistair Cooke Estate and Howard Gotleib Research Centre would be relatively straightforward to obtain, it’s usual practice to complete other checks and assessments on other contributions to the programmes. Fortunately, the letters had no other content. The partnership gradually linked up the metadata between the digitised audio recordings and the transcript notes, sourced photographs for the website, and the online archive was finally made public in 2012. 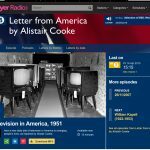 Do spend a little of your time ‘bathing your ears’ by listening to Cooke’s wonderfully soothing and intimate voice, to ‘Inform, Educate and Entertain’ yourself through these 15-minute vignettes of broadcast perfection. N.B. The Case Study above represents personal views and general historic facts surrounding the project. For the avoidance of doubt, these views are not those of the BBC, nor do they represent any endorsement (actual or implied) by the BBC of Ben Green Associates Limited.